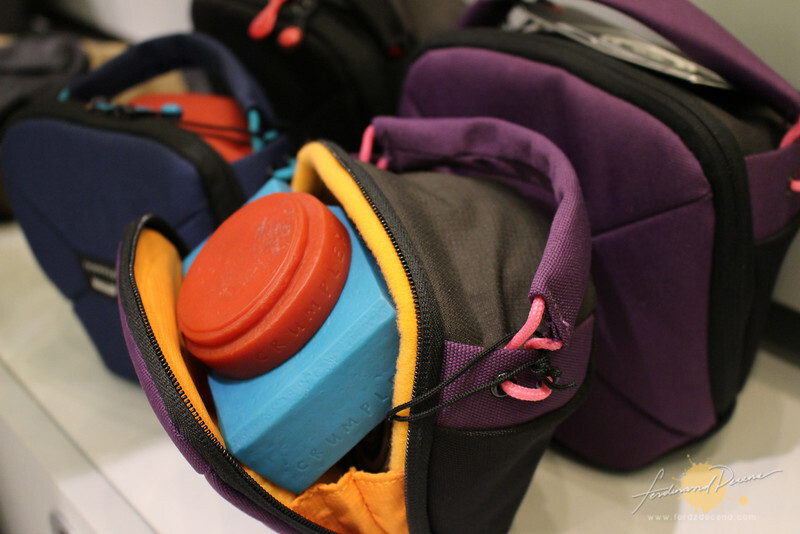 One of the most beloved bags and accessories brand, Crumpler, known for its bold and unique design while remaining functional and sturdy ,opens another flagship store to widen its reach for the discerning customers who “Know how to live!”. 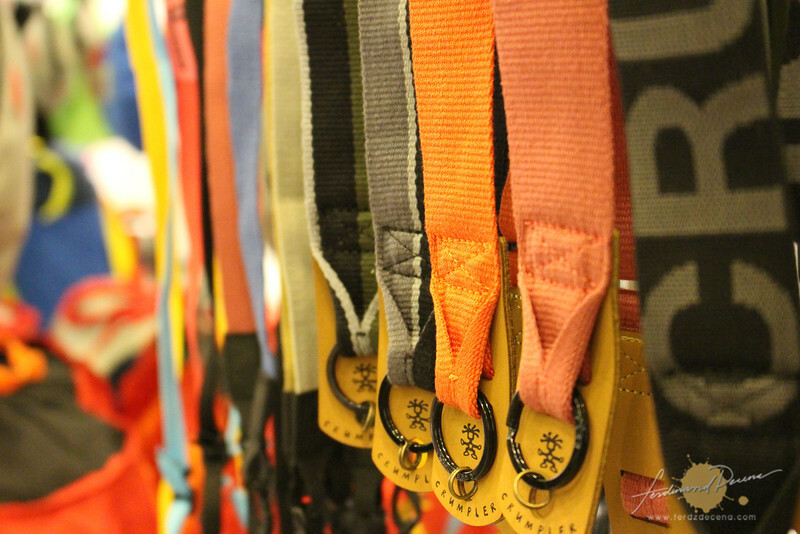 The Crumpler Concept Store at Shangri-la Mall’s new East Wing officially opens to the public. It’s not just an ordinary store as it’s their biggest one yet. I was simply amused by the interiors, designed by award winning architects Ryan Russel and Byron George. 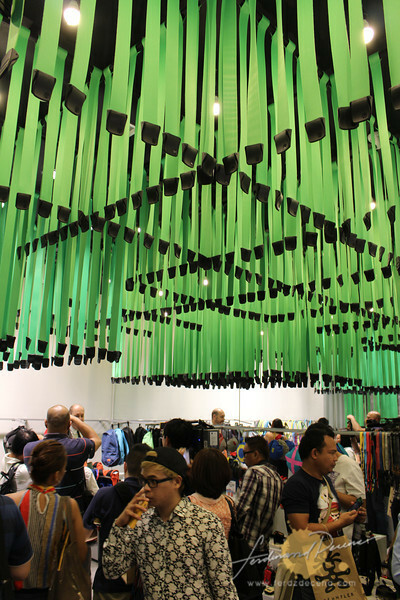 The store is spacious, with numerous straps hanging from the ceiling creating a stimulating pattern and the mirror on one side made it feel like the store was larger as it seems. 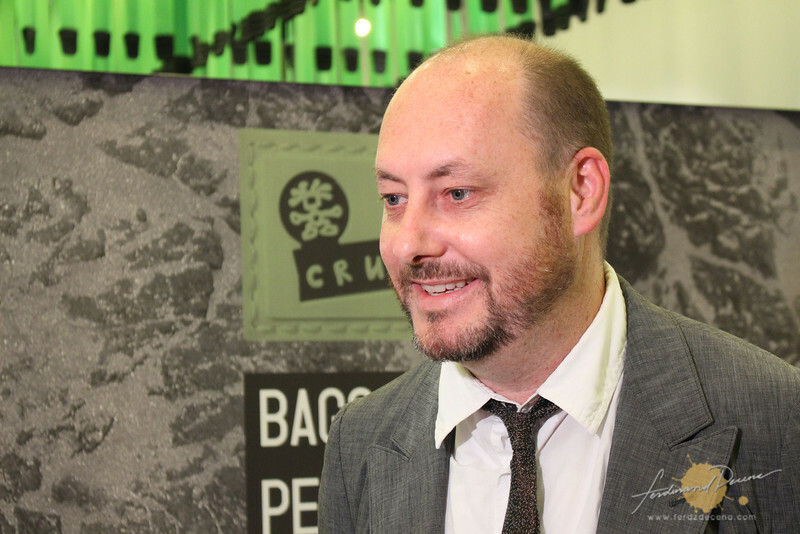 During the opening night, one of the founders of Crumpler, David Roper (crumpler co-founders Stuart Crumpler and Will Miller) graced the evening and shared a bit on how it started way back in 1992. Crumpler was originally the product of Stu Crumpler, as an avid beer drinker, he created a bag to carry his beers while biking. The beer-bag caught Will Miller and Dave Roper, owners of a bike messenger bag company, and asked Stu Crumpler to re-engineer the bag into a backpack for their bike messengers. It proved to be a success as it was practical, durable and comfortable. With a shared passion to create the best bags for bikers the 3 eventually started their business making and selling their own line of bags named after Crumpler. Their first branch in Australia was in an art district influencing their designs to be bold and artsy. 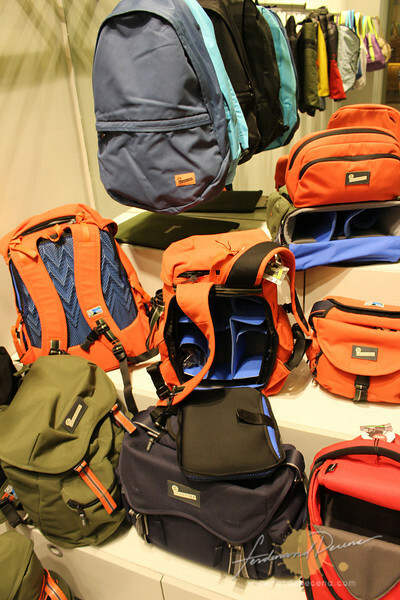 These days, Crumpler has gone a long way than just making biker bags. I was introduced to Crumpler Bags first time for their photography bags which I had a few. Recently I’ve been using The Squid as a secondary back-up bag when I travel. I’m glad Crumpler still has the spirit to innovate and be creative in both the design, functionality and names of the bags making it a choice for independent, free spirited, adventure lovers and creative people. 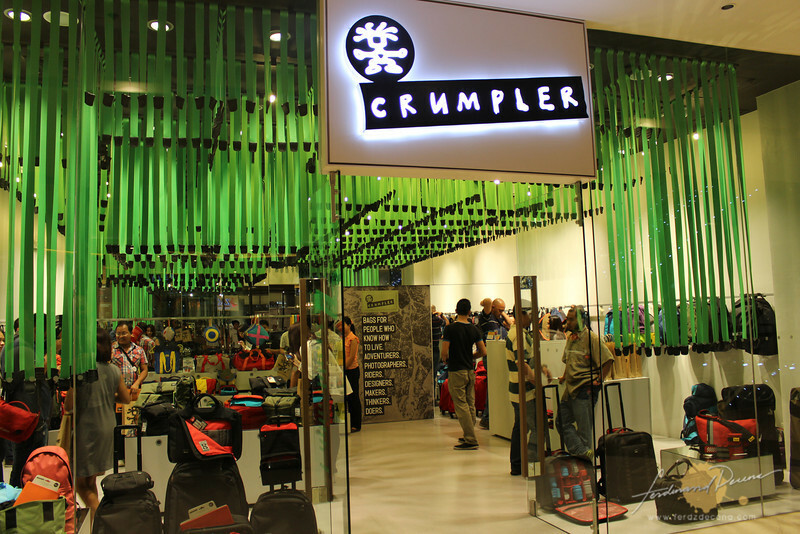 Aside from their latest store at Shangri-la Mall East Wing, Crumpler stores are also located at Bonifacio High Street, TriNoma and Robinson’s Magnolia. Ang ganda ng bagong store na to.. lalo na yun mga naka hang na straps sa ceiling. Hehe.